Since returning to Malaysia, Soon Heng has acted in more than 40 productions. He was involved in an ambitious four productions in 2014, including the mini-series Saloma, in which he played Runme Shaw. Off-stage, Soon Heng produces radio programs. In 2017 he played the title role in Shakespeare Demystified: Macbeth. His portrayal of Shylock in Shakespeare Demystified: The Merchant of Venice 2016 moved many audience members to tears. Hana Nadira has performed in multiple cities including Singapore in the critically acclaimed Normal, Penang in Riwayat (George Town Festival), and Kuala Lumpur in Swordfish+Concubine. Other acting credits include: Tragedi Hamlet, Shakespeare’s Women, IndicineLive Revival. Also a graduate from Berklee College of Music, she occasionally applies her music degree in musical compositions or by performing in electro/trance/indie band Another Universe. A graduate in Corporate Business Studies, Nave VJ took a different career path by throwing himself into the performing arts, to follow a passion that had been burning since his early teen years. He has been involved with various local theatre productions for the past 4 years, including MUD KL--the longest running musical in Malaysia, and the highly successful Ola Bola-The Musical. Ali Alasri has ventured and is still venturing through a variety of waged -labour opportunities within the arts. Besides part time teaching, his recent involvements include Hamlet (2016) , Something I Wrote (2014) , **2080 (2017) and an indie film KL24:Zombie (2016) . He has also participated in an art project The Complete Futures of Malaysia (2017) chapter 1 & 2. Ivan Chan graduated from LASALLE College of the Arts, and has since been working as a freelance performer for theatre and on screen. Currently based in Kuala Lumpur and Singapore, predominantly in theatre, productions include: IndicineLive Sketch Comedy (BOH Cameronian Arts Award Nominees, Best Ensemble), Angels in America Part 1 & 2 and Shakespeare Dymistified: The Merchant Of Venice. Recently he was seen as the Big Bad Wolf in Singapore Repertory Theatre’s Three Little Pigs. Safia is a theatre actress based in Kuala Lumpur with a wealth of experience doing stage, screen and voice acting since 2008. She was most recently seen as Iskandar Muda in Mak Yong Titis Sakti and Lucy Van Pelt in You’re A Good Man, Charlie Brown. Notable stage roles include: Datin Seri in Dato’ Seri, The Cat in the Hat in Seussical the Broadway Musical and Ulla in The Producers. Passion, hardwork and fun are the tenets held by this guy. Zul has been involved in numerous productions as a producer, actor and stage manager. He was nominated as the Cameronian Best Supporting Actor Award 2018 for his portrayal of General in the Malay verison of Animal Farm, Kandang. He has also performed in two of the Shakespeare Demystified series: Nerissa and Salerio in The Merchant of Venice and Banquo and Macduff in Macbeth. Phraveen Arikiah is an actor and singer-songwriter whose recent performance credits include five roles that he originated for Mahsuri (And Other Peculiar Tales), A New Musical – which won the Innovation in Musical Theatre Award at the 14th BOH Cameronian Arts Awards 2017, Musa in Bengal Tiger At The Baghdad Zoo, Michal Katurian in The Pillowman, and an ensemble member in both Theatresauce’s production of 4.48 Psychosis and KL Shakespeare Players’ A Tale That Must Be Told: Macbeth. 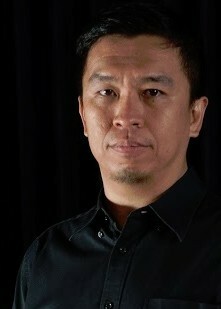 Kien Lee is the Executive Producer and Artistic Director of KL Shakespeare Players, the only theatre group in Malaysia (and probably in Asia) that annually tours with Shakespeare’s plays, performed in English. Started first as an actor, Kien Lee then began to coach other actors, direct and produce plays. He has conducted workshops at various schools and universities on acting, playing and appreciating Shakespeare, public speaking and building self-confidence.